After the recent announcement, guys at the Silicon Valley have released the very first build of the Google Chrome Metro web browser. As you might guess, it was designed for the upcoming Windows 8 OS, which should shake up the tablet market. Overall, Google Chrome looks bland, does not follow any Metro design guidelines and borrows its UI from the desktop version rather than the Firefox or IE Metro implementations. We certainly hope that Google will make its interface more Metro like. It is great! Highly more usable than IE in metro! Most popular browser. LOL That’s funny. Is there much reason to believe this is the Metro UI? I haven’t read much on it, but I was under the impression that this is chrome *running* on Metro, but that the UI has yet to be built. This is such an insult to metro. I hope it is only to test it out. Anyway. Why the hell do we need more metro browsers. 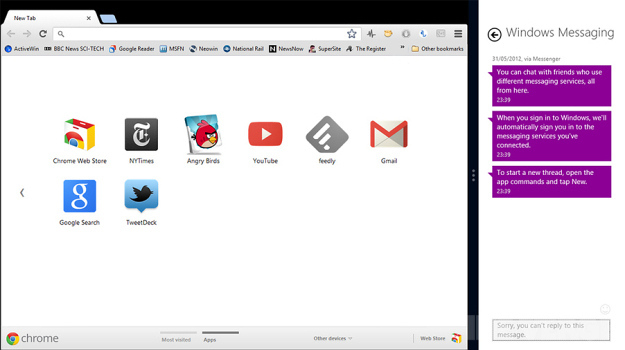 The best thing about Google Chrome for metro is that it has a bookmark bar and visible tabs. 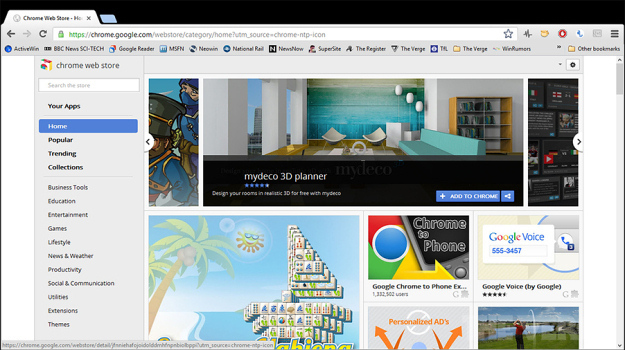 However, I would like to see it snap to full-screen like IE does on metro (or at least an option to do so). I would also like to see the ability to pin favorite sites to the start screen as well.